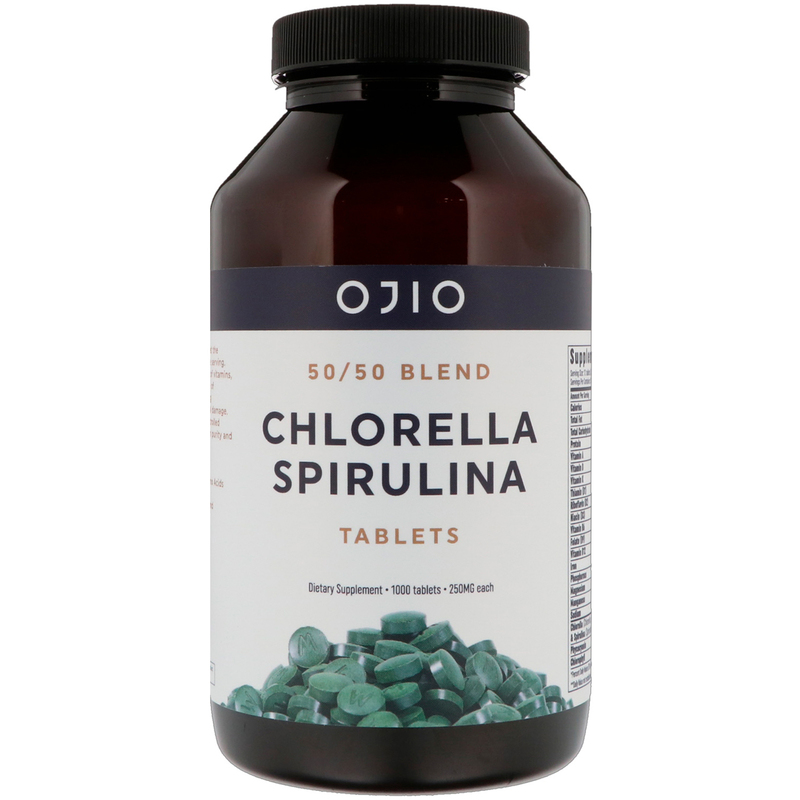 Ojio Chlorella-Spirulina tablets are an easy way to get the benefits of both these potent nutrient sources on one serving. Our broken cell wall chlorella contains a broad range of vitamins, minerals and phytonutrients, including an abundance of chlorophyll. 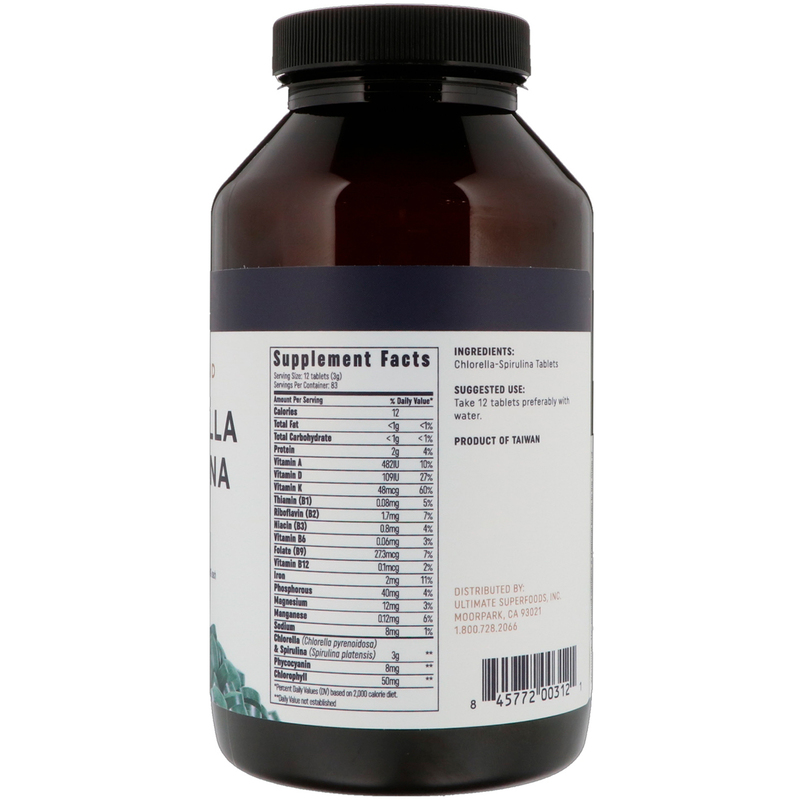 Spirulina contains phycocyanin, delivering antioxidant power to help protect against free radical damage. Our chlorella and spirulina are both cultivated in controlled systems and are tableted without binders to maintain purity and nutrients. Phytonutrients and chlorophyll to help oxygenate and protect cells. Take 12 tablets preferably with water. يحتوي هذا المنتج على مواد كيميائية تعتبر في ولاية كاليفورنيا مسببة للتشوهات الخلقية أو أضرار أخرى تتعلق بالصحة الإنجابية. * النسبة المئوية للقيم اليومية (DV) على أساس 2000 سعر حراري.